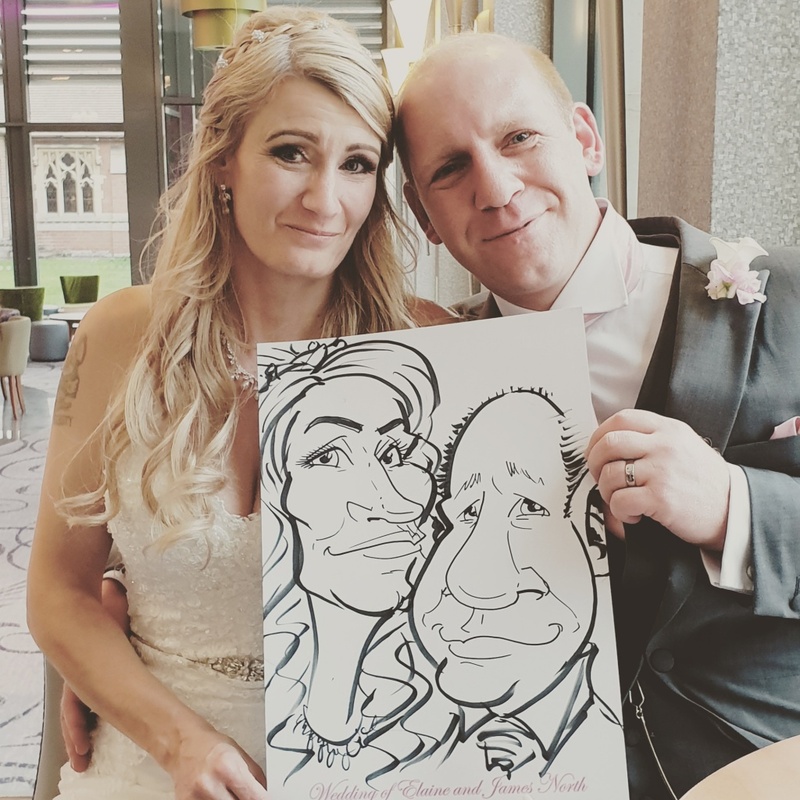 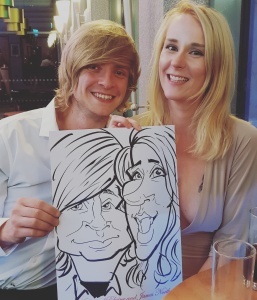 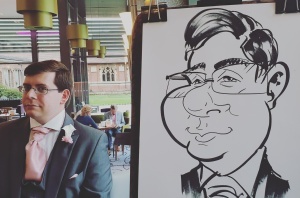 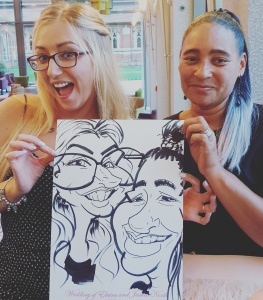 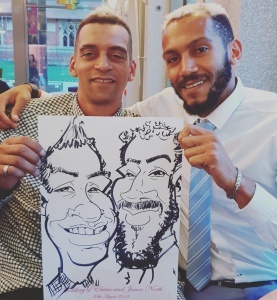 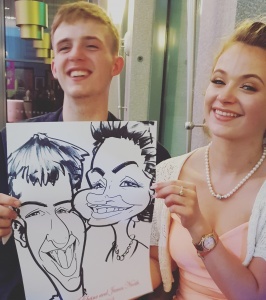 Hola Hello and thank you for checking out my latest Caricatures for Wedding Entertainment update and this time it is for the Wedding of Elaine and James. 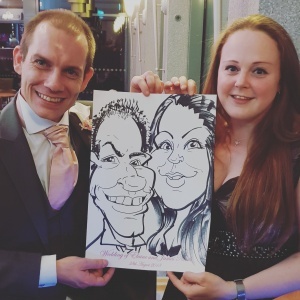 At Elaine and James’s wedding I had a fun and cheeky crowd of people who were full of banter and laughter, always joking with each other and myself and as such made it a very energetic and entertaining night for all. 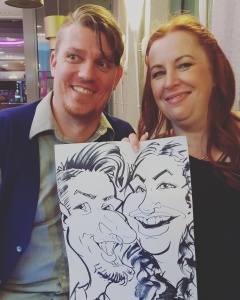 One woman was so happy with her caricature she leaped forward and hugged me! 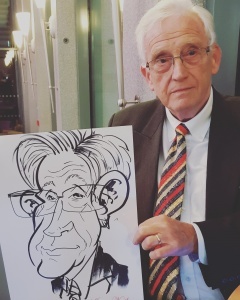 I think that’s a first for me… I mean people have been really please before but I’ve never had that kind of reaction. 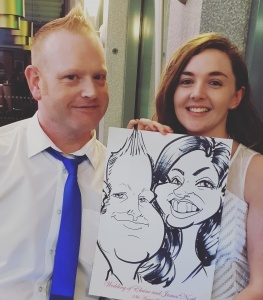 Congratulations to Elaine and James on their special day and inviting me to be apart of it. 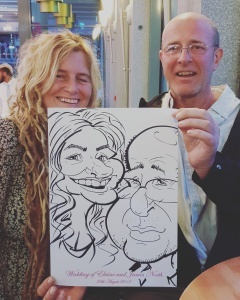 You know some very funny people! 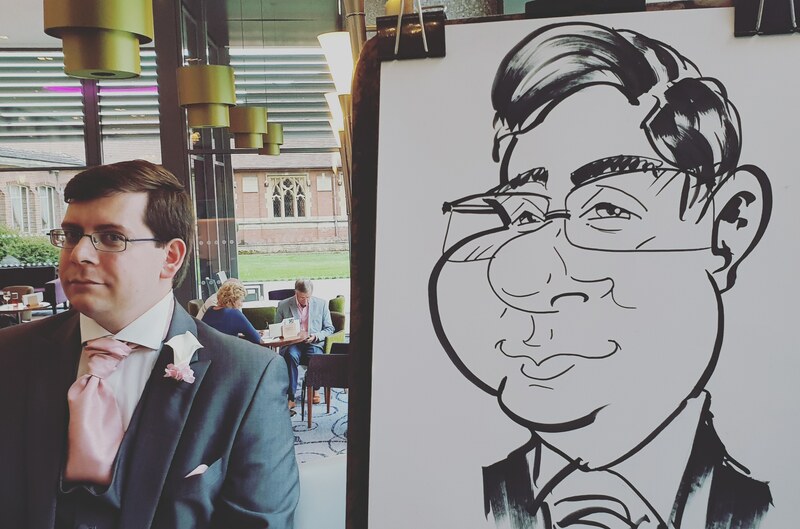 If you are looking for some fun entertainment for your wedding, anniversary or party then why not drop me a line and I’ll see what I can do.